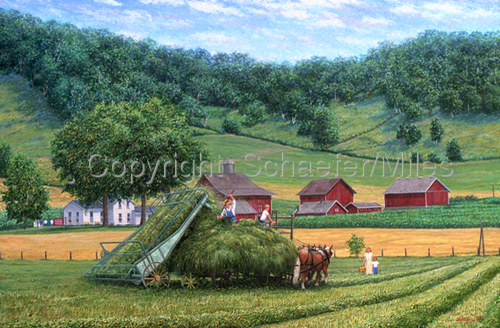 Limited Edition Offset Lithograph Paper Print - "Break Time" is a typical rural Wisconsin scene from a time gone by. It was commissioned by Ron Houser of Midwest Securities in Onalaska, WI. The scene is based on his experiences growing up and farming with his father.